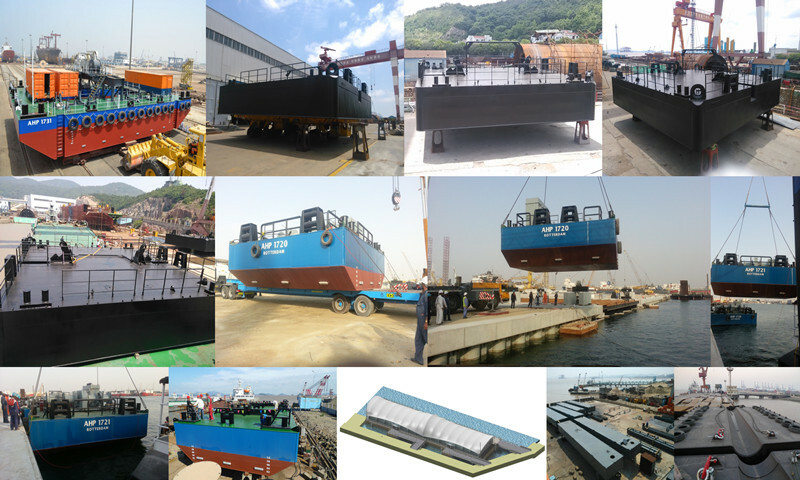 Product categories of Floating Platform, we are specialized manufacturers from China, Floating Pontoon Platform, Square Floating Platform suppliers/factory, wholesale high-quality products of Floating Work Platform R & D and manufacturing, we have the perfect after-sales service and technical support. Look forward to your cooperation! Floating Platform is that floats on the surface of the water can withstand certain weight of object platform,such as Steel Floating Platform, can be used as a floating dock, dock in small boats, except for large crane wharf; platform can also do auxiliary tool for maintenance or repair of ships, boats and other watercraft; can also help with the implementation of water projects, to build a floating platform to assist other machinery and equipment operation. A single float freely, can form L, T, E, F and other shapes, meet the needs of river ferry, scenic sightseeing. The old wooden bridge structure because of the protection of natural resources, high maintenance costs due to gradually withdraw from the stage of history. There is a beautiful place, landscape. Whether it is river, lake, sea, wetlands or marshes, floating platforms are free to extend into the water inside, or in accordance with the water to build a sightseeing corridor, to swim people to build a hydrophilic platform. In addition to enjoy the water features, people will explore the underwater world, tap water resources, clean up the water environment. Floating platform can be built platform for these activities, the platform can be placed on the detection equipment, operating machinery and so on. Floating platform built into any shape, closed or open, using natural river or lake water pool formation, reduce construction costs make it more artificial pool stick close to nature. Captive aquatic natural waters can be seen in many places, with a pontoon built around a floating platform to meet the farming, but also the development of leisure and entertainment, floating platforms can take advantage of the water fishing platform to create a water recreation environment . Water show, water race podium, water theme water entertainment dance, etc., you can build a Water Floating Platform to complete. Extend from land to water, to facilitate easier contact of the visitors want to reach the waters of the platform called hydrophilic internet. In parks, lakes, rivers, wetlands and other water resources as the basis of interest paid great attention to water platform to build, mainly in landscape pontoon, water trails, scenic corridors. Generally laying planks on a floating platform to complete a practical and beautiful water platform.